I often dream of moving to the mountains, especially to the gorgeous town of Canmore. I am one of those people who will go out of my way to extend any trip home from Calgary with a jaunt through the Icefields parkway. 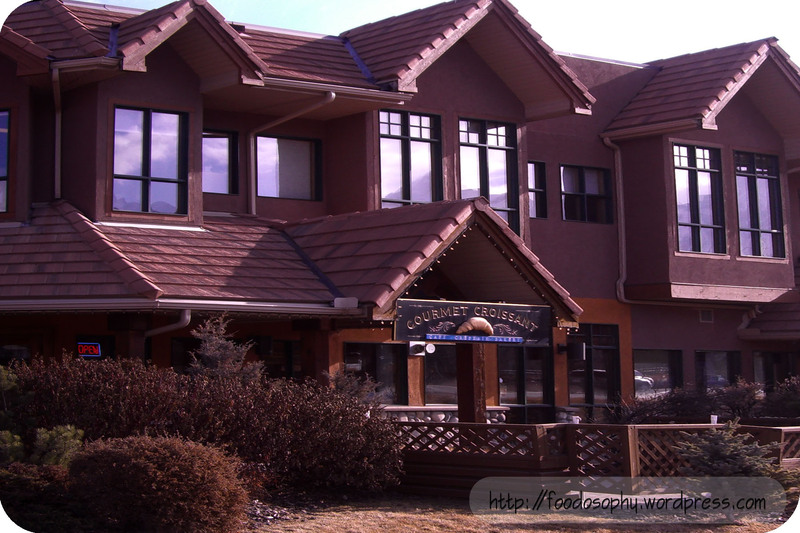 Usually it is to take in the serenity of the views, or to make time for a quick hike, but on this particular trip – we made the trip out to Canmore specifically for a Gourmet Croissant. I first visited this cafe a few years ago while on vacation. Luckily, we found it early in the week – and made it part of our daily routine while in town. It has since changed hands, but thankfully there was no noticeable change in quality. On this particular visit – we noticed a ‘for sale’ sign (best-wishes to the current owners, but my fingers are crossed that it remains the same). There also seems to be a few other vacancies in the building since our last visit – but we didn’t inquire, assuming the current economy isn’t boding well for tourism worldwide. Once upon a time, my wife worked at a bakery to help out a friend. Waking up at 2am to GO to work was absolutely mind-boggling, but I sure enjoyed waking up to a fresh loaf of bread, and the occasional treat. As we started our journey out of Toronto, we turned off the highway for a coffee in the suburb of Scarborough – and happened to come across this bakery. I’ve written in the past about my love of cornbread, and this cornbread muffin ranks as one my favorites. My second choice for the road, was the cinnamon twist (figured it would be easy to eat while driving). Both were superb. 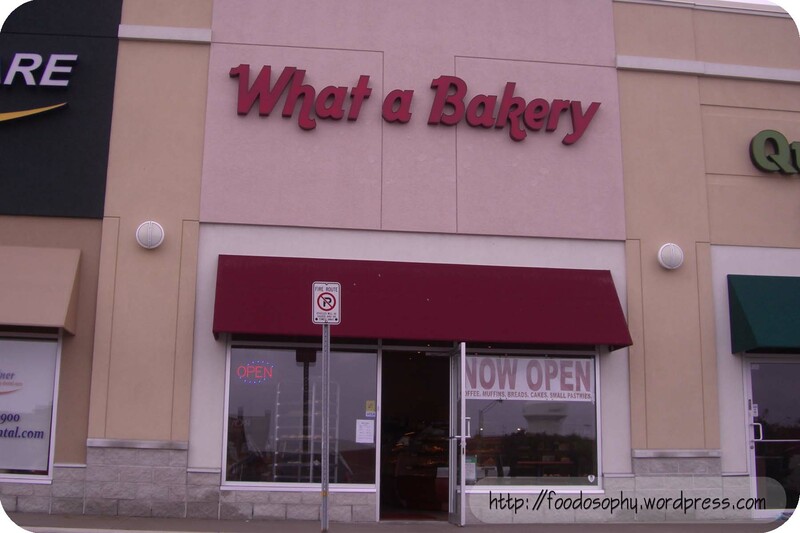 I happened to be in Whitemud Crossing, and spotted this new bakery as I was leaving the area. Thinking only that it would be nice to pickup a fresh loaf of bread before heading home – I noticed that the smaller print stated The Original Mexican Style. The inside is filled with display cases showcasing a massive assortment of cookies, pastries and breads. First – grab a tray and a pair of tongs, and load up! I didn’t count the number of options – but if memory serves, I’d say there were at least 80 different things to choose from. When I met Elisabeth Prueitt and Chad Robertson, I had no idea who they were. As far as I knew, they were the friendly, smiley couple that lived next to my good friends. The occasional hello, petting the dog when we headed out for a walk, they seemed like good, but ordinary people. One day, my friend whispered to me “you know WHO they are don’t you”? Of course, I did not. 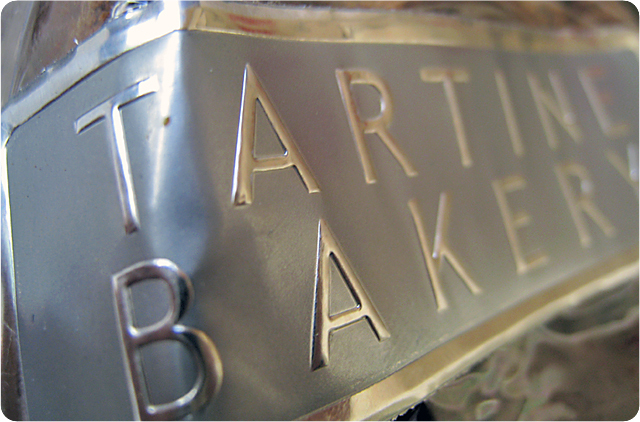 “They own Tartine Bakery” she said in hushed, reverent tones. “Tar what! ?” Their disappointment in my knowledge was only exceeded by their excitement for having a reason to visit immediately. I was about to be taken for an educational whirlwind of the world of pastry. Of course, I know who they are now. Between a successful cookbook, and sellouts and lineups, Tartine Bakery is a San Francisco institution. 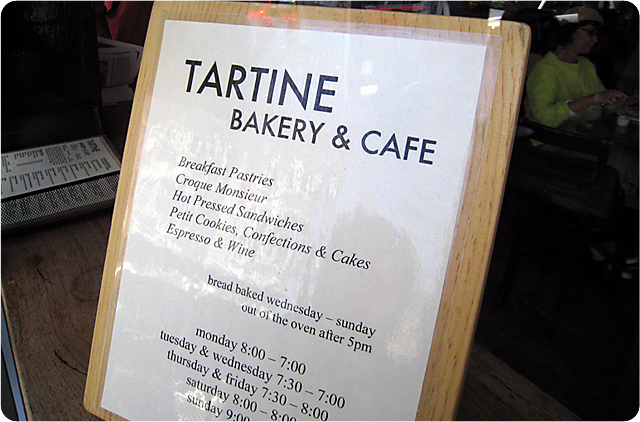 “Tartine? They have the best…X” Everyone has an opinion. There really is no right or wrong – it’s just a matter of personal preference. Located in San Francisco’s Mission District, Tartine is broken up into two distinct parts – Tartine Bakery, and around the corner, Bar Tartine. Bar Tartine, is a restaurant offering dinner and brunch, focusing on high quality fresh, local ingredients. While the food is excellent, and well worth checking out, it’s nothing exceptional in a city of excellent dining. 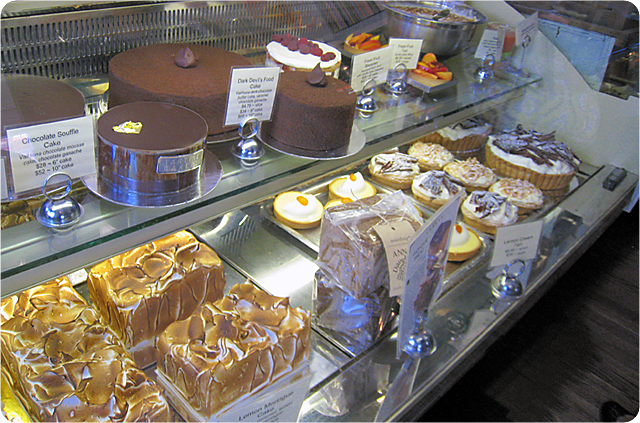 The Bakery, offers a variety of pastries, breads, baked goods, cookies, bars, along with some basic sandwiches. Chocolate fans swear by the brownies, or the chocolate souffle cake. My cousin swears by the Lemon Tart. Breakfast fans love the morning bun – Tartine’s take on the cinnamon roll. Really, you can’t go wrong. Just go early, they have a tendency to run out of popular items quickly. Prices are actually incredibly reasonable for a bakery Mark Bittman considers “one of the the best on earth”. They clearly love what they do, it shows in the food. My own personal favorite? Coconut Cream Tart – the individual, divine, pie. It’s a perfect blend of creaminess; a rich coconut cream, fantastic crust coated in chocolate, and the perfect accompaniment of toasted coconut and sweet cream. Im hungry just thinking about it. In the Bay Area, join the throngs and indulge yourself once in a while. It’s neither ordinary, nor nice. It’s fantastic. Once in a while, everyone deserves a little Tartine!